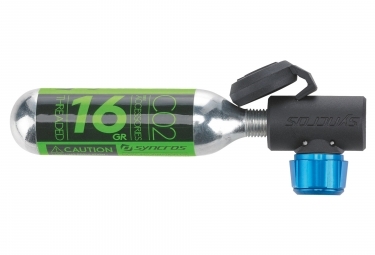 The Syncros CO2 Nozzle can inflate to pressure a tire in no time flat. 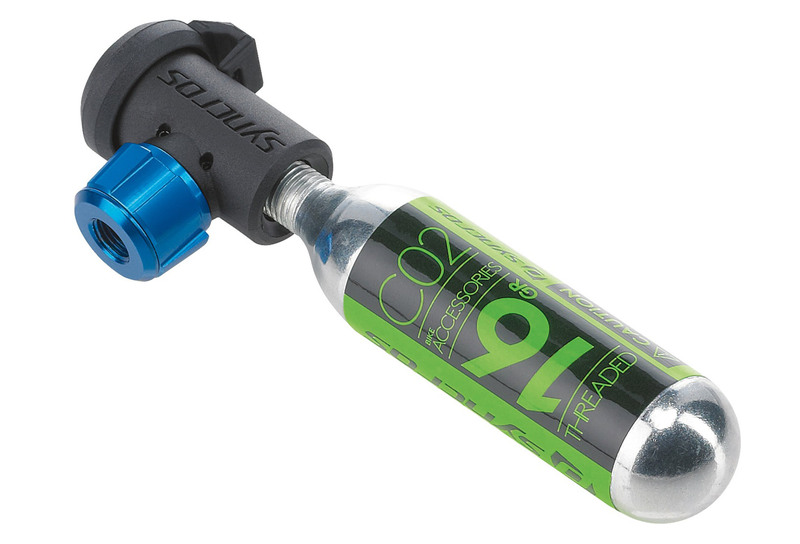 Select the required valve between Presta and Schrader, screw-in the Cartridge and that's it ! You can go back faster on track and spend more time riding. Materials: Alloy body, Composite cover. Two threaded docks, one for storage and one for inflation. 16 g threaded cartridge included (1 piece).